A lovely and fashionable jewelry display box, this beautiful product will both display your precious items of jewelry and keep them secured at the same time! It is made out of a durable and reliable composition that will further protect your belongings. You can get the product either in a beautiful and elegant black color, a dark deep blue version, or a wonderful wine red color that is also a larger version too and it able to store and display necklaces or bigger pieces of jewelry as well. 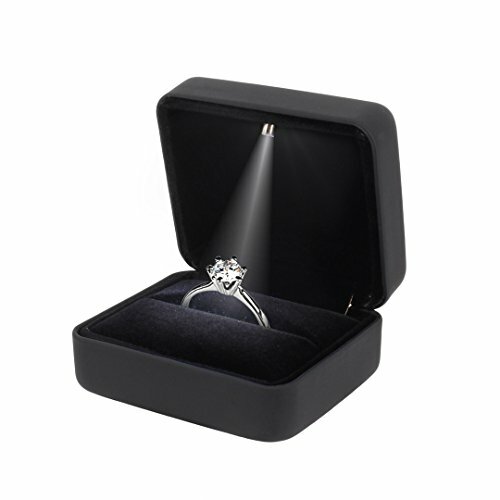 This jewelry box has also got an amazing LED light that will be able to keep your jewelry under the spotlight at all times, therefore making it more than perfect for displaying jewelry in your retail shop! The interior is cushioned with one soft and smooth insert made out of velvet which will offer even more protection to your jewelry items. The product already comes with its own battery as well. 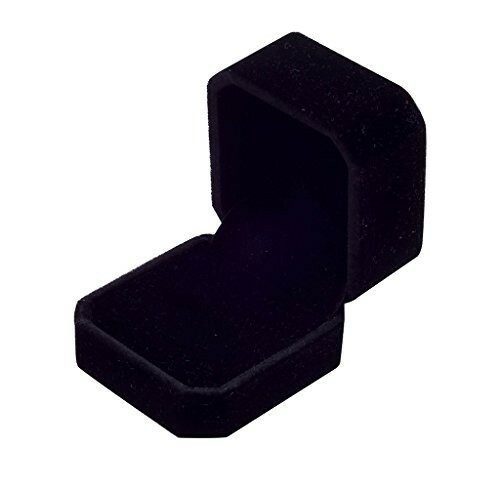 This beautiful and attractive jewelry ring box is undoubtedly a great and astonishing manner of displaying jewelry and it will surely prove to be very appealing to all of your customers and even to your friends! You will also be able to use it for more special occasions such as for your engagement ring or even your wedding rings! Purchase this amazing, efficient and smartly designed item of jewelry display and you will definitely not be disappointed! The measurements of this item are the following: 2.7 x 2.5 x 1.5 inches and its weight is 2.4 ounces.